BCAA Xtra Drink - an innovative ready-to-drink beverage that meets the demand of the body during intense physical activity especially athletes. 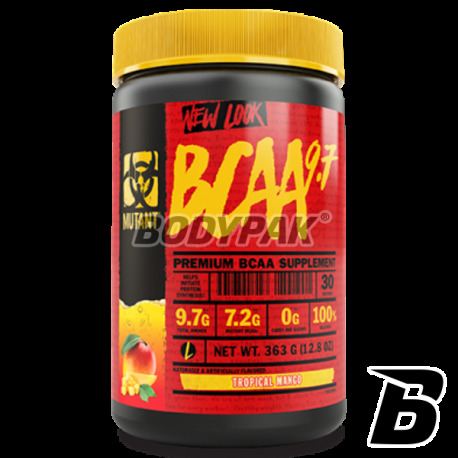 The package includes an extremely high concentration of branched chain amino acids, up 40000mg high-quality amino acids (BCAA, L-valine, L-isoleucine and L-leucine) to protect and build muscle mass. Liquid form further accelerate their assimilation! This product contains 9.7 grams of amino acids at one, highly concentrated portion of the value ratio 2: 1: 1 (Leucine, Valine, Isoleucine). Secure your muscles against catabolism and speed up their recovery to the maximum! 68 loyalty points Your cart will total 68 points that can be converted into a voucher of 2,72 PLN. PVL Mutant BCAA is a product that is difficult to compare to other proposals on the market. Wondering why? It is simple because none of them can compare with him. 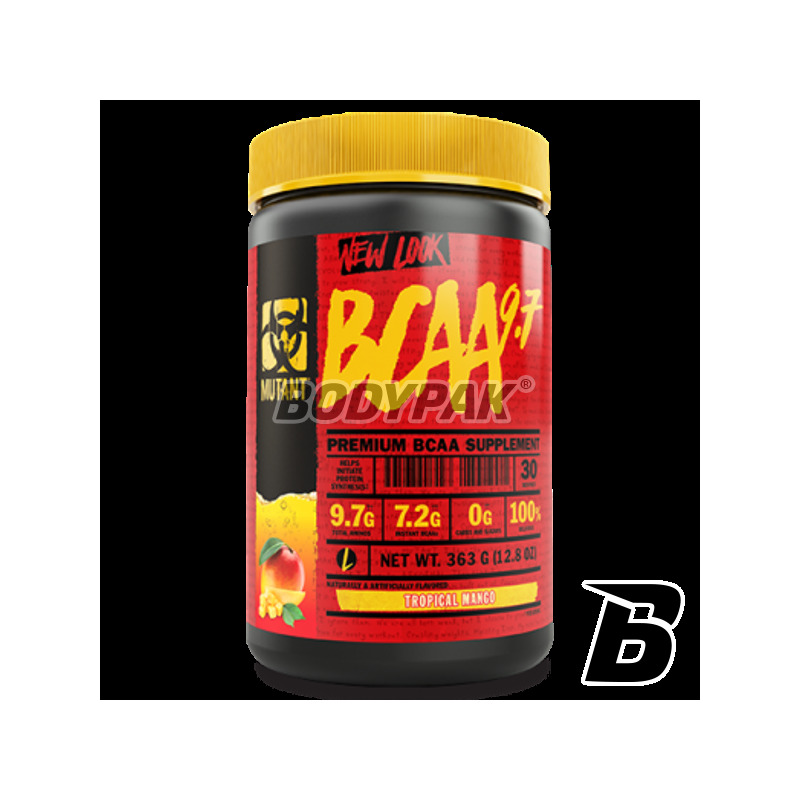 Mutant BCAA is a guarantee of the highest quality and potency. Amino acids present in the product is micronized to pick up the best solubility. Using this product will improve considerably your post-workout regeneration, which has a significant impact on the speed of your gains in muscle mass and strength. Branched chain amino acids about 40% of muscle mass, and must be supplied from outside because the human body is unable to synthesize their own (these are called amino acids. "Exogenous"). Mutant BCAA is based on the most effective ratio of 2: 1: 1 leucine: isoleucine: valine. Supplement has been further reinforced portion of magnesium, which helps in the process of protein synthesis. PVL MUTANT BCAA PRODUCT IS TO COME BACK TO WHOM YOU EVERY TIME! 1 serving before your workout and 1 serving after training. one dose in the morning on an empty stomach. Other components: acidity regulator - malic acid (E296), modified starch, acidity regulator - citric acid (E330), sweetener - acesulfame K (E950), sweetener - sucralose (E955), MCT from coconut oil, anti-caking agent - silicon dioxide (E551), color: brilliant blue FCF (E133), dye: tartrazine (E102), emulsifier: soy lecithin (E322), natural and artificial flavors. E102 - may have an adverse effect on activity and attention in children. Trec AminoMax 6800 - 320 kaps. The product designed to quickly supplement amino acid deficiency which occurs following an intensive workout and as a result of insufficient protein intake. Support your body in the pursuit of excellence today! BioTech BCAA 3D - 180 kaps. Sensational formulation based on high quality branched chain amino acids in a ratio of 8: 1: 1 leucine, isoleucine and valine! Each portion have a high antykatabolcizne, but also anabolic suspended by a leucine content of pure! Bardo good solubility (preparation intsnizowany) and refined flavors. Olimp Anabolic Amino 5500 Mega Caps - 30 kaps. Simple Amino full day - is a formulation comprising a complex of peptides and free amino acids essential for protein synthesis in muscle cells of the body. IHS BCAA 2:1:1 - 120 kaps. The advanced anti-catabolic formula specially prepared to protect your muscles from breakdown! You'll never have to worry about the huge decline during reduction!